Between the months of June to December 2015, guests who stay at Banyan Tree Bintan or Angsana Bintan will have the unique opportunity to enjoy a special dinner treat on board a traditional Kelong (a local fisherman's abode) - just minutes away from the private beach. 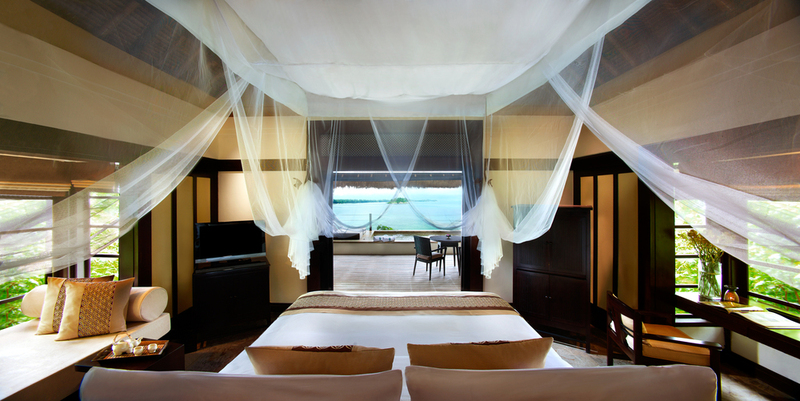 Soak in the panoramic view of the South China Sea while bathing in the warm and gentle glow from the setting sun. Embark a local Pompong boat that will take your to this rustic dining location where you will indulge in an array of refreshing cocktails. Be surrounded by Petromak lanterns while a private chef and a handful of waiters cater to your every need. Indulge in a careful selection of culinary delights including a tantalising range of Middle Eastern cuisine and barbequed seafood dishes such as Mezze platter with hummus, moutabel, tabbouleh and fatoush salad, as well as Coral fish, tiger prawns, lobster with chili, ginger, lemon grass and coriander. Click HERE to find out more about Banyan Tree Bintan!